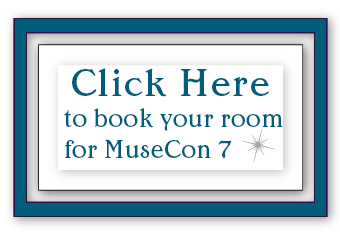 In 2017, MuseCon will be held at the Westin Chicago Northwest in Itasca, IL, the same hotel we have been in for the last few years. 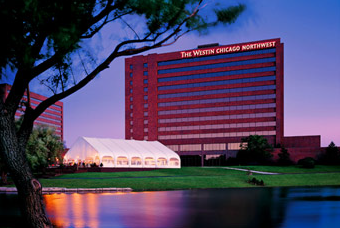 An O'Hare perimeter hotel, The Westin Chicago Northwest is located just 12 miles from O'Hare International Airport and 27 miles from downtown Chicago. This four-star, four-diamond hotel is situated in the Chancellory Business Park, three miles from the Schaumburg/Woodfield business district. This location is convenient to such companies as Arthur J. Gallagher, Sun Microsystems, Hitachi, and NEC Display Solutions. Visit the hotel's website to reserve your room. Posted room-block close date is July 14, 2017. Please reserve your room early. The hotel has gotten pretty full in years past, mostly due to weddings and other events in the area. In addition, the more reservations we have, the better the hotel treats us in terms of function space and "extras". Your help last year enabled us to add another function room to our space, and we had more programming for our members! Many of the roads in and around the Chicago area are toll roads. That means, when you travel along them, you have to pause every so often and toss money into the automated machines (or hand it to a tollway employee). The Illinois Tollway Authority has set up a system called "I-PASS" to make paying tolls easier (and cheaper) for those who plan ahead. Tolls are half price for those with I-PASS than those without it. When you open an I-PASS account, you receive a small white plastic device called a transponder that is mounted on your windshield. As your vehicle travels through a toll plaza, a radio antenna sends a signal to your I-PASS transponder that triggers the deduction of a toll from your account. Note that I-PASS, E-ZPass and i-Zoom can be used interchangeably and are accepted in 14 states by more than 20 different facilities. Lots of information about how to get an I-PASS unit can be found on the Illinois Tollway website. This website also includes information about construction and closures along their roads. Wetin's website provides directions from the hotel. Alternatively, you can use Google.